When residents throughout Alaska’s Kenai Peninsula find themselves in need of potable water, they trust Moore & Moore Services Inc in Homer. 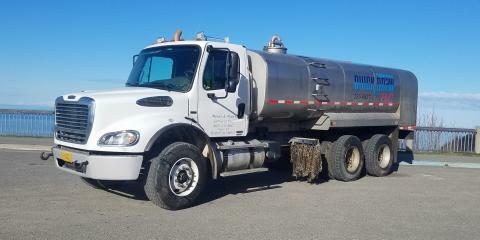 This one-of-a-kind potable water service company has been offering reliable and cost-effective bulk water service, as well as commercial and residential garbage collection services and dumpster rentals for over 20 years. Whether you are looking to schedule regular water deliveries, curbside pick-up services or have plans to start a construction project and need a roll-off dumpster and one-time collection, you can depend on Moore & Moore Services. They will provide everything you need to control the mess and rid your property of refuse and debris quickly and efficiently. They’re committed to using their experience to make the garbage pick-up process as easy as possible for you. Let the professionals at Moore & Moore Services take care of your garbage so you don’t have to. To schedule a pick-up or to inquire about services, call (907) 235-8837 today. Visit their website for a comprehensive list of their waste management services.